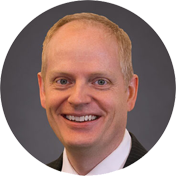 Dr. Kirk Drennan was born and raised in Sandy, Utah; and graduated from Brighton High School in Cottonwood Heights. Dr. Kirk Drennan While attending Brigham Young University as a Trustees Scholar, Dr. Drennan discovered his love of eye care, working as an optometric and ophthalmic assistant. Accepted into Ohio State University’s College of Optometry, he completed externships at renowned refractive and cataract surgery centers in central Ohio. Through his humanitarian efforts locally and internationally, thousands of needy individuals can now see well. Dr. Drennan is a member of the Utah and American Optometric Associations, and fluent in Spanish. He and his beautiful wife, Annie, have five amazing children and reside in Sandy, Utah.